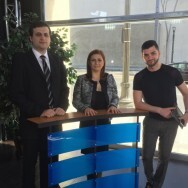 The Hayrenaser organization has started a program of building civilian shelters in Artsakh. 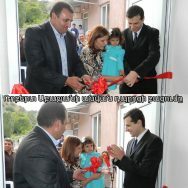 Hayrenaser built its first civilian shelter in the Kashatagh region, city of Berdzor. 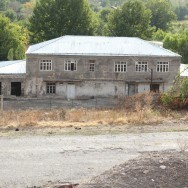 The Hayrenikis group from Los Angeles sponsored the building of the Berdzor shelter. I buy almost all my gifts and Armenian postcards from Berj Books located in Glendale, California. Berj, the owner, always welcomes me to the store and listens to my stories related to the liberated Artsakh territories with rapt interest. When I enter the bookstore, I’m like a small child trying to pick my favourite knick-knacks. There are so many adorned with the Armenian tricolor, the national emblem or the Armenian ABC’s. But there’s one item in the store that really irritates me. 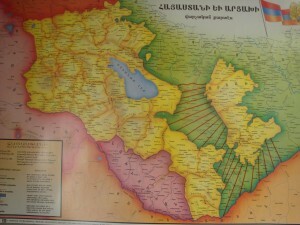 It’s a map of Armenia showing the wrong borders of Artsakh. It taped to the wall for all to see. 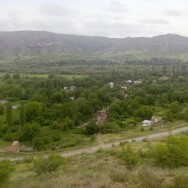 When I say Armenia, I’m talking about the two Armenian states – the Republic of Armenia and the Republic of Artsakh.